911 Restoration of Atlanta has years of experience handling property restoration services in Atlanta, Decatur, Marietta, and surrounding areas. This experience has given our water damage restoration technicians the skills and knowledge to cleanup all types of water damage. It’s easy to contact property restoration professionals. The team at 911 Restoration of Atlanta stays available 24/7/365. Service agents are constantly standing by to handle any emergency restoration calls. Once the staff determines exactly what is going on with your situation, our restoration technicians will be sent to arrive at your property within 45 minutes. The water damage restoration agents can implement same day services for all issues that have to do with water. Call us today and an Atlanta restoration unit will offer you a free home inspection for property owners only. 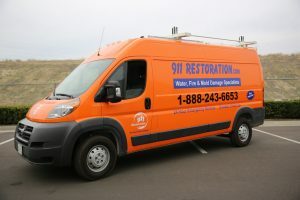 The water damage restoration technicians at 911 Restoration of Atlanta care about you. 911 Restoration of Atlanta is a locally owned franchise that gives you home town dedication backed by nationwide resources. The team’s restoration pros have a plethora of hands on experience that allows us to offer you a solution that is efficient and effective. The water damage restoration team can handle water damage caused by sewage, flooding, or a roof leak. We even offer free direct billing to your insurance agency. Let us talk to insurance agents for you, lowering your stress levels during the restoration process. 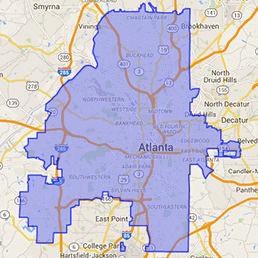 Call our water damage restoration team in Atlanta when you need the aid of a team that always puts you first. Property owners in Atlanta, Marietta, and Decatur may get used to the area’s mild winters, but cold snaps and heavy snows do sometimes hit in Georgia. Many property owners aren’t prepared to deal with frozen pipes, ice dams, and flooding caused by melting snow. 911 Restoration of Atlanta can help you handle cold weather water damage. The team can take care of flooded basements, frozen pipes, and any damage to your home or business. Note that frozen pipes can cause leaks or massive flooding if they are not given professional care. Fortunately, you can reach out to restoration professionals today by calling 911 Restoration of Atlanta. Skilled technicians can take care of water extraction from a flooded basement, repair the damage caused by frozen pipes, and get your property back into pristine condition. 911 Restoration of Atlanta’s disaster restoration team consist of expert full-service technicians that can get you out of any home restoration conundrum. Our restoration expertise covers damage caused by thunderstorms, strong winds, hurricanes, flood, hail, and snow. There are many complications that can arise from the normal wear-and-tear use of your home, so our disaster restoration pros in Atlanta, Marietta, and Decatur want to be there for you no matter what. Damage left to sit can compound and result in mold and structural damage. Get into contact with us right away when you the help of a disaster restoration team. Call the disaster restoration techs at the first sign of damage, such as ceiling leak, discoloration, or deteriorated structural material. You can put a stop to major reconstruction by acting immediately. 911 Restoration of Atlanta has the professionalism required to successfully handle category 3 water incidents. Category 3 water incidents involve black water, which can contain dangerous pathogens. Sewage backups are the most common causes of category 3 water incidents in Atlanta, Decatur, and Marietta. 911 Restoration of Atlanta’s sewage backup cleanup team is qualified to handle sewage backup cleanups. The team has the equipment and experience to remove sewage and disinfect your property. 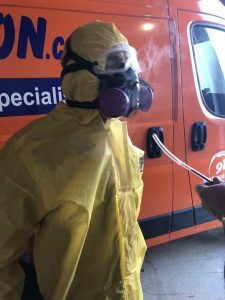 The team will be prepared with hazmat suits, sump-pumps, and sanitizing chemicals to get your home or business looking and smelling fresh fast. Keep in mind that category 3 water may not always be sewage damage cleanup. Category 3 water may be storm water from a flooding street, or it can be a pipe leak that mixes in with contaminants. When you need a fresh start for any reason, call the sewage backup cleanup team with 911 Restoration of Atlanta! You can call 911 Restoration of Atlanta’s fire damage restoration techs for immediate help after a fire. For small fires, the brunt of the damage may come in the form of water used to extinguish the flame, from the chemicals in the fire extinguisher, or from all the ash and soot produced. Larger fires can consume entire areas. Restoration can repair issues caused by small or large fires. You can count on techs to cleanup water, to take care of mold cleanup, and to remove oily and burnt substances from furniture. You will receive the full fire damage restoration package from 911 Restoration of Atlanta, so that your peace of mind is secured knowing that things will get better. 911 Restoration of Atlanta is also familiar with fire damage restoration and the insurance policies that cover this repair work. Professionals will get you a full lost itemization, thus allowing you to claim every penny of your losses on your insurance claim. Call the fire damage restoration team with 911 Restoration of Atlanta when you need a fresh start, and we will be there to help in no time! All of the accidents listed above may result in a mold infestation. If you experienced any form of water damage, we recommend that you call the mold removal team serving Atlanta, Marietta, and Decatur. Technicians can provide you with the appropriate services as soon as you call. A job done right the first time can prevent further complications down the road. However, sometimes a mold problem will take hold because of hidden water damage. This may necessitate the need for mold removal after water extraction is completed. For example, a leaky pipe can soak the sheetrock and insulation in your property, which can give the naturally present mold spores in the air a place to thrive. Mold growth can hide for months before becoming noticeable, kick starting the mold remediation process. If you notice pungent odors, or crumbling sheetrock, then you should contact mold removal technicians immediately. The team in Atlanta will arrive promptly to help you out. When you need water damage restoration or mold removal services, give 911 Restoration of Atlanta a call.